Of all the margaritas in the world, there is none more delicious than the spicy grapefruit margarita. It’s a little bit sweet, a little bit tart, and with the perfect kick from habanero-infused tequila. 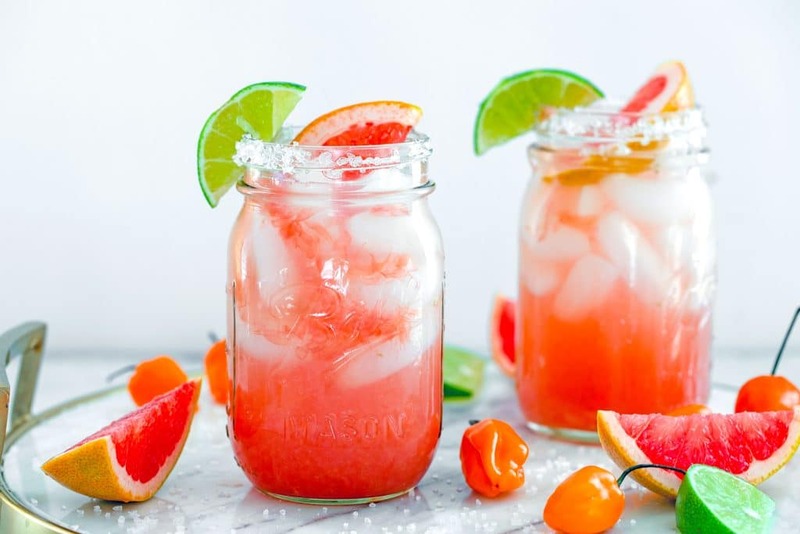 (This recipe for Spicy Grapefruit Margaritas was originally posted in July 2011, but was updated with new photos in 2019). Meet your new drink of summer. “Hello, new drink of summer, nice to meet you.” Take a good look because I think you’ll be getting to know each other veryyy well this summer. Thank goodness this drink is easy on the eyes. Not to mention the taste buds. The second had a sip of this spicy grapefruit margarita I knew it was going to be my drink of summer. I mean, habanero infused tequila? That beats even the jalapeño infused vodka I made last month. Because really, habanero trumps jalapeño every time. Sorry jalapeño, you know I still love you. Facts are facts. Everyone needs a drink of summer. And it should be cool and refreshing… But with a nice kick. Because what’s summer without a little spice? After an entire week went by, I decided it couldn’t wait one more second and I whipped these up for a 4th of July BBQ. Before you make these, just know that the tequila and habanero needs 3 hours to steep. Luckily I had exactly 3 hours. Some things are just meant to be. If you know me, you know I’m pretty grapefruit obsessed. As in, I eat several each week. I highly recommend making this cocktail with fresh grapefruit juice, but if you’re really pressed on time and want a super quick margarita, you can use store-bought juice. But since you’ve got to steep that habanero tequila for 3 hours, you may as well use that time to squeeze the juice out of those grapefruits! In fact, you can certainly let the habaneros steep in the tequila even longer than 3 hours, but you should be warned that your tequila will just keep getting spicier and spicier the longer you leave it. My husband has a mason jar of tequila that’s been steeping for like 3 years and even though I can handle a lot of spice, just smelling that tequila practically makes me pass out. So, use your own discretion. And certainly feel free to make more than the cup that is made for this recipe. Other than steeping the tequila and squeezing the juice out of your grapefruits, all you need to do is salt the rims of your glasses and pour in the juice and tequila. Garnish with a lime and grapefruit slice and your spicy grapefruit margarita is ready to enjoy! I mean, really? This drink is perfection to me. It’s the kind of cocktail where at first you might be like, “Whoa! Too much spice!” But then the more you sip on it, the more you really start to enjoy it. The hot kick combined with the cold icy sweetness was incredible and perfect for a steamy July evening. And honestly, I think it’s just about the prettiest drink ever. It looks so innocent being all pretty and pink, doesn’t it? Little would you suspect the punch it brings! 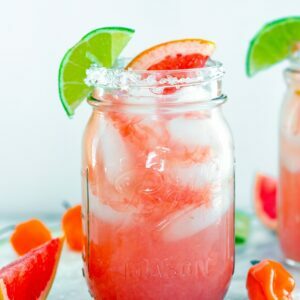 I’ve made this grapefruit margarita several times and the boldness of the color will definitely depend on your grapefruits. Sometimes my margaritas are a bit of a paler pink and sometimes they’re nice and bold. I love the brightness, which is why I recommend ruby red grapefruit… But if you can’t find it, you can certainly use pink grapefruit. Have I mentioned I love summer? Plus, today equals one week until a nice much-needed vacation. Lake Chautauqua, here I come! Please prepare your nice weather for us 🙂 And I will prepare the spicy grapefruit margaritas. Deal? Happy Cocktail Friday! I hope your weekend is all kinds of cool with a spicy kick! 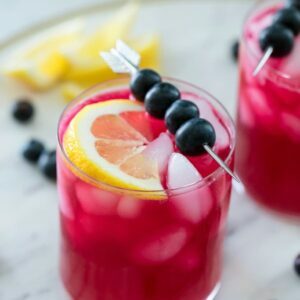 If you’re looking for more margarita recipes, check out my Frozen Peach Margaritas or my Blackberry Lemonade Margaritas. 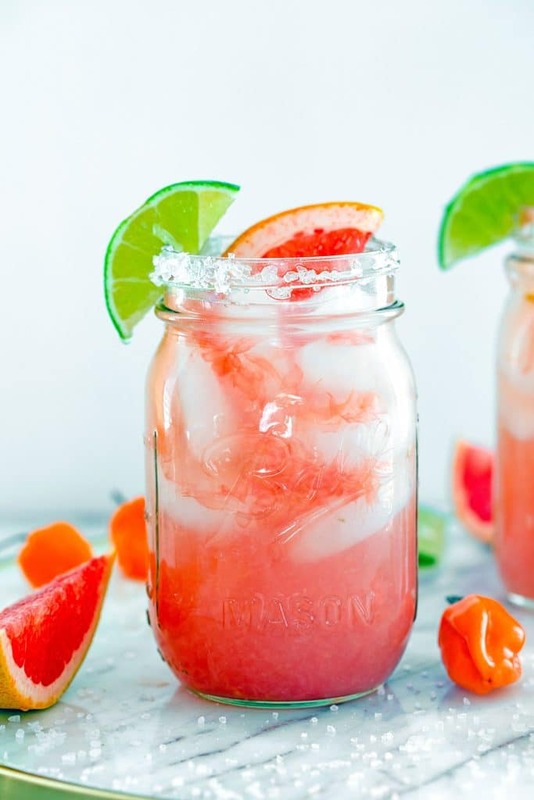 I’m also obsessed with these Blood Orange Strawberry Margaritas from Celebrating Sweets. Of all the margaritas in the world, there is none more delicious than the spicy grapefruit margarita. It's a little bit sweet, a little bit tart, and with the perfect kick from habanero-infused tequila. 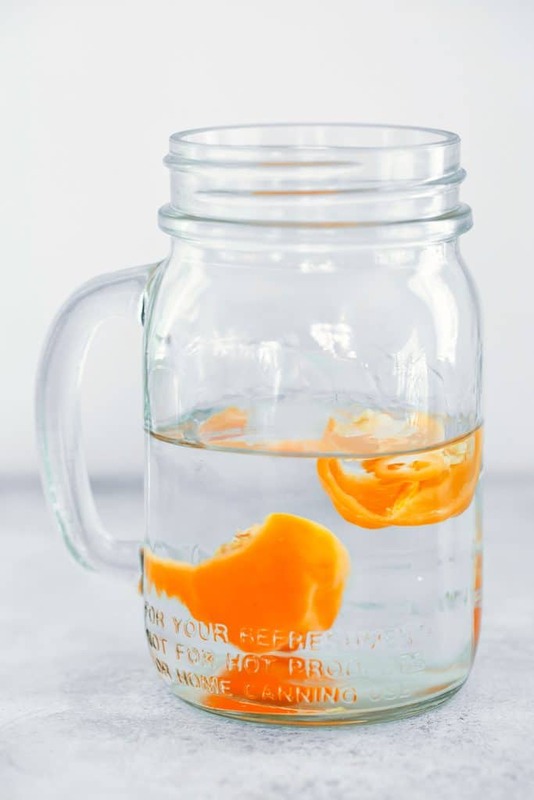 Pour the tequila in a mason jar or other container and add the habanero. Let steep for about 3 hours (you can leave the habanero in longer, but beware that the tequila will get spicier and spicier the longer it sits). Place sea salt on a s mall plate. Brush rims of glasses with water or simple syrup and roll to coat in sea salt. Fill glasses with ice. Divide grapefruit juice between glasses (using 3/4 cup for each). Pour 2 oz. habanero tequila into each glass. Stir. Garnish glasses with lime and grapefruit wedges if desired. 40 Responses to "Spicy Grapefruit Margarita"
These margaritas are adorable in the mason jars! The mason jars are perfect! I need to try this spicy cocktail making thing soon. I saw this in Bon Appetit and was wondering about it as well! It looks fantastic. It sounds fantastic and I love it served in mason jars. I’ve recently discovered my love for silver tequila (after many years of hating it) so this sounds delicious. I recently had a grapefruit / tequila cocktail at a restaurant so now I want to try it on my own – yum! The Lake is waiting for all of you………can’t control the weather but can guarantee the creation of many happy memories…….can’t wait!! Now that is a drink with some kick to it. 😉 Love the jars as serving glasses. fantastic drink! I need to make this one next! These margaritas sound great, and I love that you served them in Ball jars! Grapefruit is so refreshing in the summer! O that looks lovely! Now if only the weather here would improve this would be perfect for one of those long hot summerdays! I firmly believe that everything tastes better when it is served in a mason jar! Happy weekend! 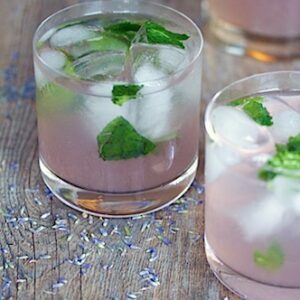 More drinks should contain grapefruit juice – these look amazing! i love those mason jars too! Wow. Grapefruit margs sound absolutely excellent. I wonder if the heartburn would be worse or better than limes? I’ll have to try them to figure that out. ohhhh, yummy. last night, over some regular margaritas, i realized that tequila is my new favorite booze. 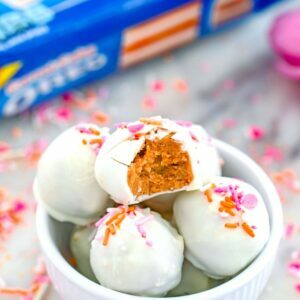 making these soon! Love the mason jars and the added kick! 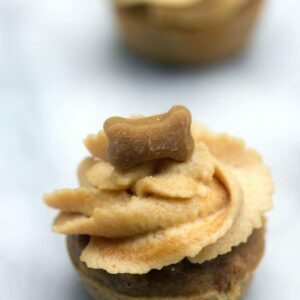 Um, adorable! I love it. And especially love the mason jars for serving! I NEED to get some mason jars!! I have some serious grapefruit love (though it has taken me 24 years to get there!) so I’m pretty sure this needs to be MY drink of summer, as well! 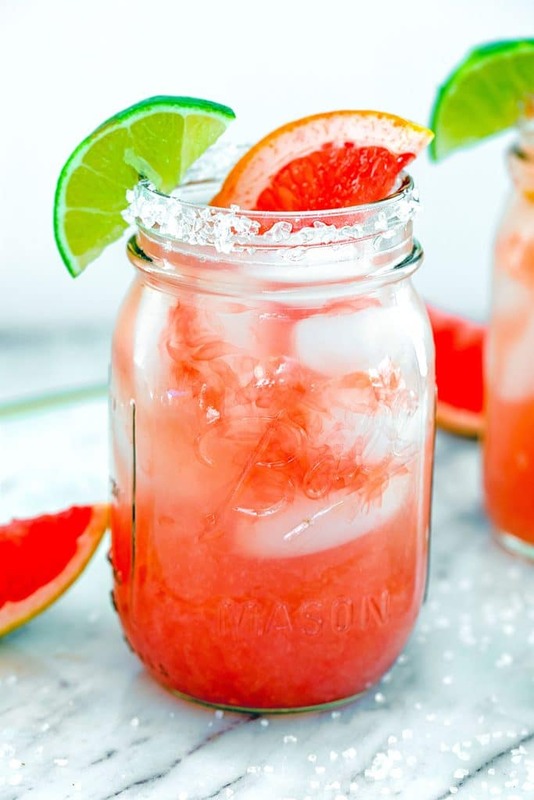 Spicy Grapefruit Margarita. It is really great!!! Want to try it now. Love it. This is my new favorite marg recipe! Spicy drinks are so fun! Can’t wait to try this one!